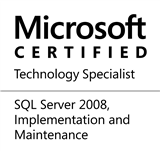 #0186-SQL Server-Quiz-Locks during Index maintenance (REBUILD/REORGANIZE)? Prize: Two (2) Pluralsight training codes! What is the first word that comes to mind whenever one mentions the need for optimizing search or for increasing the performance of a database? Index. Indexes play a vital role in SQL Server performance tuning, but they too need periodic maintenance. An index is logically implemented as a B-tree. Over time as data is accumulated by the table, fragmentation may set in and the distribution of data within the index may become unbalanced, with some pages becoming full (as governed by the fill factor) leading to “page splits” whereas others might be sparsely filled. If data is deleted from the table, it leaves behind a “hole” in the index page – this free space is not reclaimed, which contributes to the bloating of the index. This reduces the efficiency of the indexes, while possibly consuming more than required disk space. At this stage, administrators need to perform maintenance operations on the index. What types of locks do index REBUILD and index REORGANIZE operations occupy on the underlying table, by default (i.e. the “ONLINE” option is not specified)? As a bonus exercise, you may want to share any queries or tests that you may have conducted to arrive at the answer to the question above. Please note that the bonus exercise does not carry any rewards this time around – it is only as an exercise for the brain cells. Follow the following on Twitter! Remember: Participation is always more important! Make sure you reply to the quiz even if it’s just a guess! This entry was posted in #SQLServer, Blog, Imported from BeyondRelational and tagged #SQLServer on August 13, 2012 by nakulvachhrajani. If ONLINE option is not specified, when a **non-clustered index is rebuilt**, a **shared table lock** occupies the table, preventing all but SELECT operations. When a **clustered index is rebuilt, an exclusive table lock** occupies the table, preventing any table access to the table. Index **REORGANIZE doesn’t lock the table** and it’s always online operation. This operation puts some temporary locks on the pages it works with, but they are removed as soon as the operation is complete. This is simply not true. From an availability perspective, if an index is fragmented more than 30%, REBUILD ONLINE = ON is the better solution. It will take less time and fewer server resources than doing a REORGANIZE. @Marc: The whole question has an assumption that we are dealing with “default” behaviour, i.e. for REBUILDs, ONLINE = OFF; for REORGANIZE, ONLINE is always ON. The statement “if an index is fragmented more than 30%, REBUILD is the better solution” stands. You’ll have to schedule a maintenance window as the underlying table will be unavailable. If this requires an unacceptable period of time, this is your motivation and cost-justification to move to Enterprise Edition, where REBUILD ONLINE=ON is available. When one makes statements that include “better” or “best”, it makes sense to qualify that with WHY one is “better” or “best”. If I need something that happens quickly, then REBUILD is better than REORGANIZE, given a level of fragmentation. If I need something that allows users to continue to submit queries, then REORGANIZE or REBUILD ONLINE = ON is better. and then it took other page to reorganize and put it in XMode. But one can use sys.dm_tran_locks to see what is going on. As per my knowledge, For clustered as well as non-clustered index, **When the Total Fragmentation exceeds 40% or more**, it required index Rebuild and when u start this operation an exclusive lock apply on the entire table which prevents any changes to the table until Index rebuild complete as it recreates the entire index. If the **Total Fragmentation is less than 40%** then Index Reorganize applied. This will apply shared lock to the table. Personally i would go with Index Reorganize as my database is frequently updated. @Krish: 30% vs. 40%…. whatever. It’s a minor difference. Is your database updated constantly throughout the 24 hour day? You have absolutely no maintenance windows at all? And unlimited transaction log space? Below is the (incomplete) list of locks required to run a REORGANIZE on a Non Clustered index. Apart from the locks listed, there may be other METADATA lock requirement based on the security context of the executing user and features like Auditing and triggers. Some these locks locks may be acquired and released several times. The REORGANIZE process can be blocked by another process, participate in a blocking chain and block other processes, participate in a deadlock as a victim or winning process. The key point about REORGANIZE is that it only acquires “short term” locks and works on a page by page manner. So the chances of other processes getting blocked by the REORGANIZE thread for a longer duration is much less. The REBUILD process acquires a Sch-M lock in the beginning and keep it till the end, thus making the table inaccessible for other queries. Teh rEBUILD process also requires all the locks mentioned above pluse few additional METADATA locks. ya its right.If we not specify ONLINE=ON by default SQL server lock table in the rebuilding index operation. While in Reorganize process database is online. IF fragmentation is more than 30% we need to rebuild the index otherwise reorganize is better solution. I do not have much idea about types of table lock is there good article available on table locks?